Up until recent times most of us had never heard of a wet room. However, it is a term which is constantly being used due to the popularity that wet rooms are gaining. So what exactly is a wet room and how did they develop? This article will briefly examine these two questions. 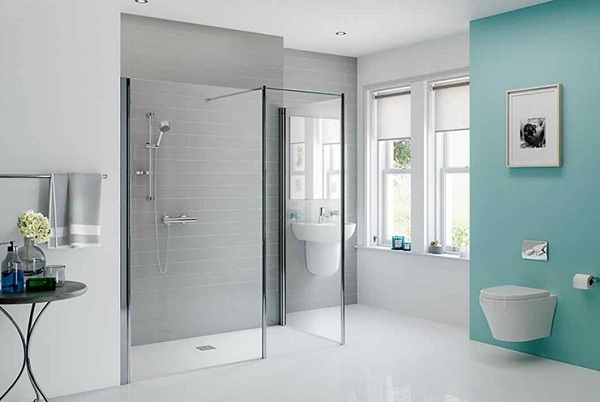 The first question that you will probably hear when you make mention of a wet room is ‘What is a wet room?’ The simple definition of a wet room is a bathroom without barriers. The shower has no enclosures and the entire room is waterproofed. A typical wet room is completely tiled, many times including the ceiling. Of course drainage is a very important feature of wet rooms since water will go everywhere. The floor will need to be sloped with proper drainage. Wet rooms are not a new concept, in fact they can be traced back to Scandinavia where they are standard in most houses and have been for decades. It was only in recent times, however, that their popularity has grown and expanded worldwide. In fact, wet rooms have often been featured in popular design programs which has really done a lot to intrigue viewers and generate interest in their construction. The advantages of having a wet room in your home are numerous. If you have a small, cramped bathroom with tight spaces converting it into a wet room can instantly make it a luxurious commodity! If you are forced each day to shower in a cramped cubical shower stall you will be amazed by the comfort of showering in a wet room. 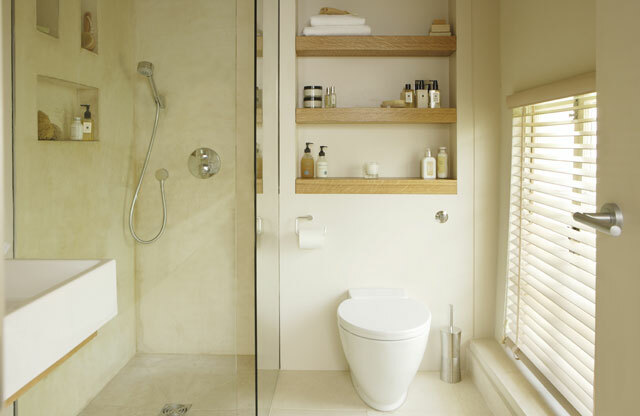 Another advantage of wet rooms is that they are very hygienically clean. This is because they are easy to clean and have much fewer nooks that may be difficult to clean. Most wet rooms effectively reproduce the feeling and atmosphere of a personal spa. You are probably now imagining how a wet room could look in your home and are curious to see some examples. 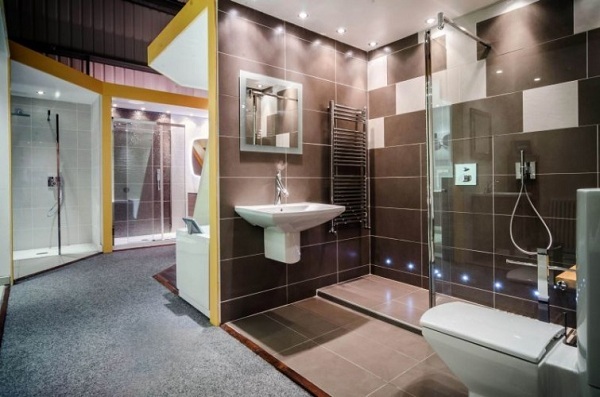 Here at Stone and Chrome we are very experienced in the design and installation of wet rooms. Did you notice the bathroom that was featured in the beginning of this article? You can see other pictures of this wet room by clicking on this link. Included in the many luxurious features is the IL BAGNO ALESSI. It features one basin, and a LAUFEN wall hung WC. The shower also includes heated seating and LED lit recessed storage. The wet room is finished in a contemporary minimalist chic design complemented by its slick black finish. Looking at the next example, to the right, you will see a master bath that we designed using a cast marble bath and spacious showering area. The silver grey limestone tiles combine elegantly with the Farrow & Ball Elephant’s Breath paint. If you are curious to see the bathroom in more detail click this link. As you can see, even though the shower area is semi divided in order to minimize water splashing, the openness and wet room feeling is maintained. The next wet room that we feature here is done in a beautiful limestone with an elegant silver grey tone and a wet floor. The same small wall that partially separates the shower from the rest of the room is also used to hold the free standing WC. The bath is nicely accentuated by a quartz decor panel that combines greatly with the Svedberg’s furniture that is featured in the wet room. Next post: Talk Like Your Customers – Get More Customers!